In 19th-century Paris, music and the fine arts were not just a part of life — for many Parisians, they were life itself. The City of Light shone with the glow from churches with their fine organs, and from splendid theaters for ballets and operas. The homes of well-to-do Parisians, including composer Ernest Chausson, were salons where literary and artistic figures from throughout Europe and beyond congregated. Chausson was well aware of the demands of his busy life when the Belgian violinist Eugene Ysaÿe asked Chausson to compose a violin concerto. Instead, he wrote “Poème,” a shorter work for violin and orchestra. 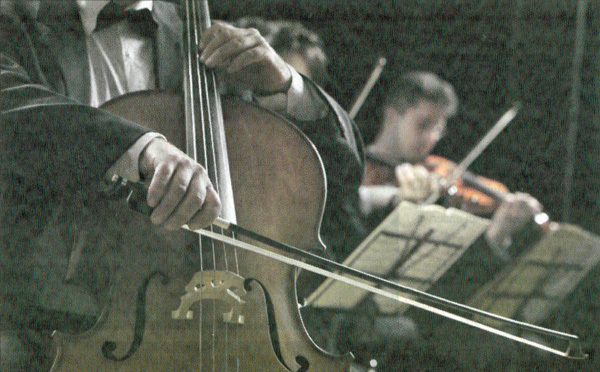 Hartt Symphony Orchestra, Hartt Wind Ensemble, Connecticut Valley Chamber Orchestra, and in numerous string and chamber music ensembles. The music for the ballet Sylvia brought Leo Delibes, already well-known as a composer for the theater, widespread acclaim from the public and fellow composers, including Tchaikovsky. Like Chausson, Franck wrote music for violinist Eugene Ysaÿe. Unlike Chausson, he was able to deliver an entire violin concerto as a wedding gift to the violinist. It remains popular, but the Symphony in D minor featured on this concert’s program is Franck’s most enduring instrumental work. When Franck composed his only symphony in 1888, he was nearing the end of a long musical life. Yet, like the painters of the budding Impressionist movement, Franck was still adding new colors and textures to his harmonic palette. This beloved violin work is based on the novel Le Chant de l’amour Triomphant (‘The Song of Love Triumphant’) by Ivan Turgenev, one of the Chausson’s favorite authors and close friend. The narrative is the inspiration for this enigmatic and late French romantic work; it expresses an ardent labyrinth of mysticism, love, joy, death, heartbreak, and of course, triumph. The Manchester Symphony is a charismatic, vibrant orchestra with thoughtful musicians who are dedicated in their performing as well as their teaching. They have recently brought on a brilliant young conductor whose accomplishments should certainly be watched closely, Joseph Hodge from the Hartt School! Come join this MSO in their concert tonight at 7:30 pm, at Manchester High School’s attractive concert hall, for a program of well admired French repertoire. Included in tonight’s program is our collaboration of Ernest Chausson’s Poemé for Violin and Orchestra. We all expect a healthy turnout tonight, and all are invited to come share inspiring evening of French repertoire!